Webroot, a leader in delivering Internet security as a service, today announced that Webroot SecureAnywhere AntiVirus was awarded Best Standalone Antivirus software in the security category for the second straight year by PC Magazine for the “Best Products of 2012″. With 100 percent detection and 9.9 points, Webroot bested all competitors with the highest score for malware blocking and removal, and was chosen by PC Magazine as the best of the best for the year. Based on industry-standard benchmarks and several in-house tests to gather quantifiable, reliable, and reproducible results, PC Magazine named Webroot SecureAnywhere AntiVirus the Best Standalone Antivirus thanks to its speed and malware protection capabilities. 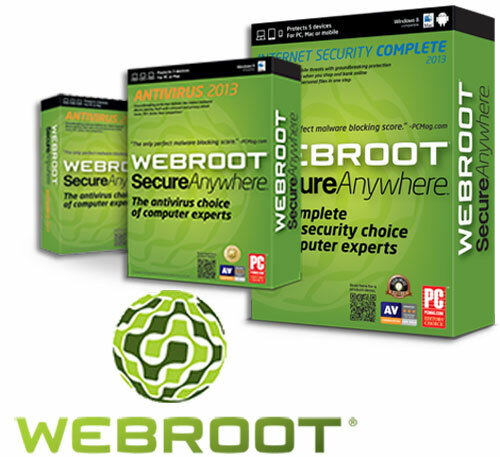 Webroot SecureAnywhere AntiVirus provides exceptional protection against viruses, spyware and online threats. With Webroot’s unique cloud-based software-as-a-service (SaaS) solution, users can quickly install and perform a full system scan, as part of the installation process, in a matter of minutes. During the process, it executes a number of tasks, including analyzing the user’s system, storage, and Internet use to make personalized recommendations for configuring the product’s overall behavior for best performance. In addition to superior antivirus protection, it includes firewall-style program control, anti-phishing features, powerful protection for browser and secure connections and advanced tools for the security savvy and IT professionals. The award marks the second consecutive year Webroot SecureAnywhere Antivirus has been recognized as a PC Magazine “Best of the Year” security product, and is the latest in a series of accolades for Webroot endpoint protection products. Most recently, the company was awarded with PC Magazine Editor’s Choice Awards in Antivirus and Suites categories for providing enhanced malware protection. In addition, Webroot owns a 31 percent share of the U.S. retail security software market, according to October 2012 data from The NPD Group. This new number two position includes a 16-point unit share lead over the number three brand and signifies continued momentum for Webroot. Parallels is best known for its virtualization software that lets people run Windows from within OS X. Now the company is stepping into a different — and much more crowded — space with Parallels Access, a remote access solution for controlling your Windows or Mac computer from an iPad. Unlike existing players, however, Parallels says its software “applifies” full-fledged Mac and Windows apps so they run as if they were made for iPad. The setup process is rather straightforward. 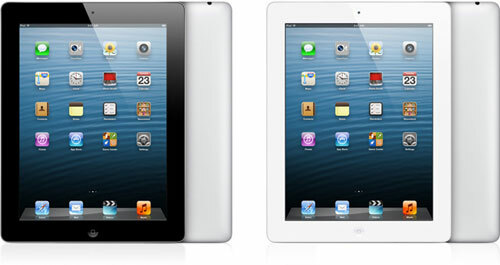 Users are required to download an iPad client and run an agent on a Mac or Windows PC. The real highlight comes from the way things are presented once you launch Access on your iPad; rather than just mirroring your computer screen and translating touch into cursor actions, the software detects applications on your desktop and presents them with a grid-style launcher, laid out like other iOS apps. Desktop apps launch maximized to a full screen view, which gives a native feel to them, and Access will overlay gesture controls to enable iOS-like touch gestures including one finger scroll, pinch to zoom, two finger tap for right click, and triple tap to select. The app lets users copy and paste content from the computer to the iPad, the other way around, or even between computers if you are accessing more than one. By default, the app launcher shows your most commonly used desktop applications, but you can add and delete those from the home grid as you see fit. For everything else there’s a handy search field. There’s also an app switcher feature to move between desktop applications with ease, and of course you can always go into full desktop mode and use the mouse pointer whenever finger input just won’t cut it. The keyboard shows up when needed with dedicated keys for functions and arrows tacked onto the standard iOS version. Initial impressions around the web are mostly positive, though they do note that the experience isn’t always frustration free — depending on the application, inevitably you’ll find yourself tapping on elements that aren’t finger friendly, but Access minimizes this by interpreting taps that are close to buttons so you hit the right one. More than early software glitches the primary letdown seems to be pricing. Parallels Access will set you back $80 per year for each computer being accessed. The Mac agent is available immediately with a 14-day free trial, while the Windows agent is currently in beta and is available at no charge for a more generous 90 days. Samsung is targeting the new memory at enterprise servers in next-generation data centers. Samsung Electronics has started mass producing DDR4 memories that it expects will go into enterprise servers in next-generation data centers. A successor to the DDR3 (Double Data Rate 3), DDR4 memories are expected to offer higher performance, reliability and lower power consumption than its predecessor. However, there have been some doubts as to whether the market is ready to transition in volumes from DDR3 memories which are still being designed into servers and other products. 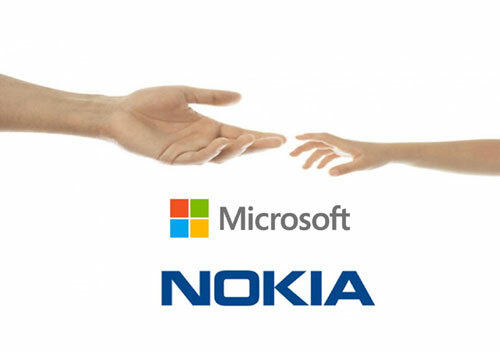 Some analysts have forecast that the component will get designed into servers and later PCs only by 2015. Samsung said on Thursday that early market availability of the 4-gigabit (Gb) DDR4 devices, which use 20-nanometer process technology, will create demand for 16GB and 32GB memory modules. The 4Gb-based DDR4 has a data transmission rate of 2,667 megabits-per-second, a 1.25-fold increase over 20nm-class DDR3, while lowering power consumption by more than 30 percent, Samsung said. Samsung did not immediately provide information on the schedule for shipment of the new memories. The pricing information is not available, a spokesman said. 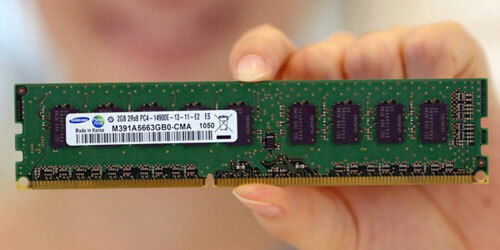 Microelectronics standards body JEDEC Solid State Technology Association published in September 2012 the initial DDR4 standard.